Enter your email address below to receive a notification when Bargain Bead Box starts accepting new sign-ups! 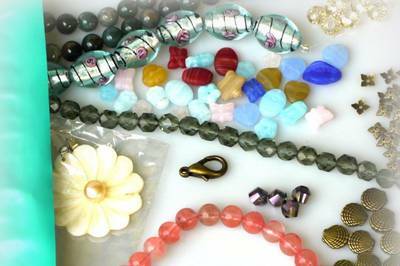 Enter your email address below to receive a notification when Bargain Bead Box is accepting new sign-ups again. 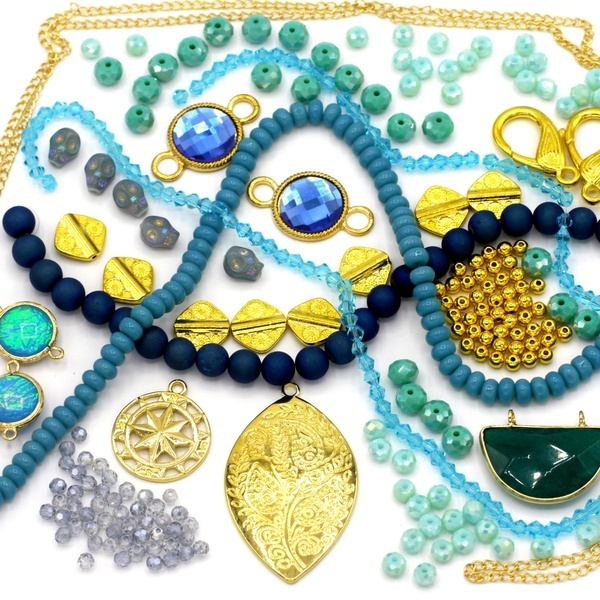 At least $50 worth of quality beads & jewelry supplies curated around a surprise theme! We ship on the 10th of each month. We use a stylish teal mailer instead of a box-- we'd rather send you extra beads than extra cardboard! If you order before the 10th, your shipment will begin in the current month. If you order on or after the 10th of the month, your first shipment will go out on the 10th of the following month. 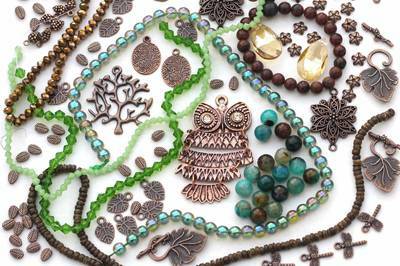 The subscription box for bead lovers! 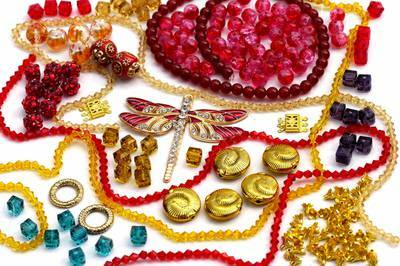 Get over $50 worth of gemstone, glass, crystal, and/or metal beads & findings delivered monthly! We work with factories all over the world to curate a new box of top-quality bargains each month. 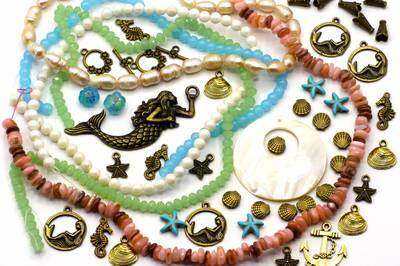 You'll receive 12-16 packages & strands of beads and findings, all coordinated around a surprise theme. I love the beads and findings you send. They are in perfect condition. I like the list that tells me which item is which as while I have been beading for a year, I still have a lot t learn about colors and actual sizes. I am planning to put some of each of the last three or four deliveries together and ma a modern day choker as well as earring and bracelet! Am so excited! I was simply delighted with the last box, as I didn't expect to get enough to make anything and that I would have to get some of my regular beads, but no, I received enough to make a several items. Thank You and looking forward to this months!! 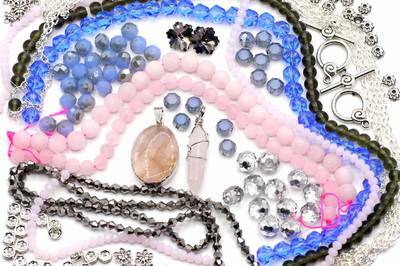 Winter Wonderland Collection-- crystal beads, quartz pendant, and more. 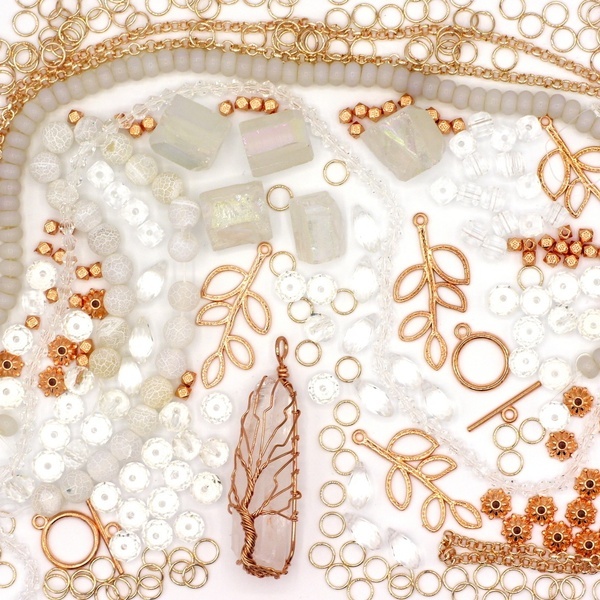 Explorer Collection-- quartz pendant, electroplated agate, crystal beads, and more. 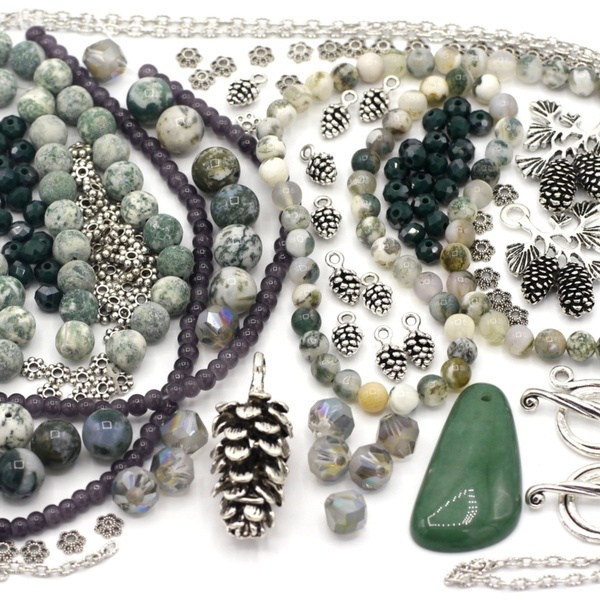 Evergreen Collection-- serpentine pendant, tree agate beads, pine cone charms, and more.